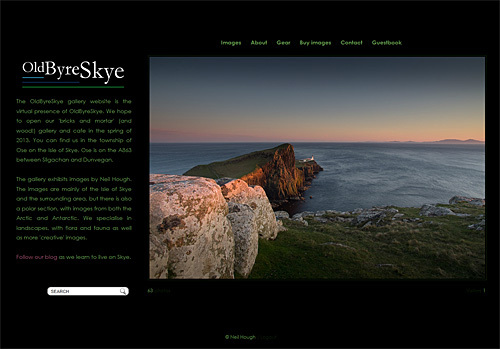 The OldByreSkye photographic gallery website is the virtual presence of OldByreSkye Gallery. You can view our range of commercially available images before you visit, or if you are unable to visit in person. Not all images are available at any one time in the ‘real world’ gallery, but can be ordered. The Online Gallery lives in the Zenfolio domain, so you will be taken away from this site when you visit it.